I can see you now, wondering, planning, scheming which events and what equipment you will ride in 2013. I am calling 2013 the year of doing it yourself. So what if our heroes have fallen, so what if they too are now seen as mere mortals. We, the collective and rapidly growing mass of amateur cyclists are building momentum. No wonder we are the dream target market for bike equipment and cycling apparel companies. There is a reason why the bike service industry is willing to sponsor and pay those professional cyclists and teams - because they want our attention! Maybe they should turn their efforts to supporting more local events and races. Not just the cycling fan, but the amatuer cyclist holds the buying dollar in this sport. The number of amatuer racers and the number of casual cyclists continues to grow. Think about how many more people you see out cycling than you did 10 years ago. 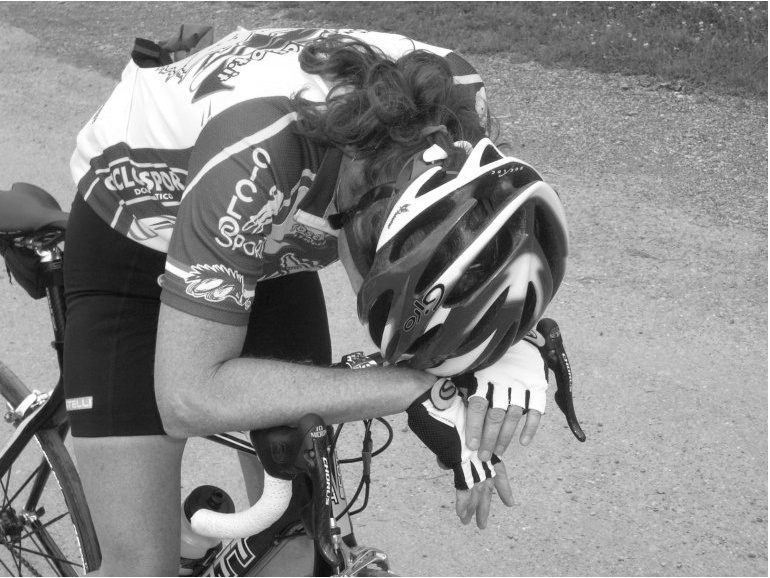 Don't discount how difficult some of these amateur event rides can be. The slew of increasing Gran Fondos are timed citizen rides with a winner, but even non-timed events can result in a cyclist being on the road for 5-9 hours in a day. Some events run for several days in a row at this level of effort and mileage. Chances are most of your family and friends realize you are a bit different. We Cyclists find our motivation in the challenge, the adventure, the preparation, the determination, but mostly in the feeling that cycling is a means to get us in, and keep us in, incredibly good shape. We find our reward in feeling like kids again, in improved health, and in being part of a community of fellow cycling enthusiasts. For each one of you who feel like you are hot stuff in your local area races, remember that there are towns all over this country, all over this world, where cyclists spin the pedals daily achieving and meeting their goals. You are a fish in a magnificent sea of cyclists. This effort is going on daily around the globe. For each one of you planning your first 40-mile event ride, know that waiting for you is an incredible feeling of accomplishment at the finish line. Plus a squadron of cyclists who will be riding next to you, supporting and sharing your enthusiasm. Nothing feels better than sharing a passion or hobby with others, especially when cycling brings people from such varied backgrounds together on two wheels. You are guaranteed to meet amazing people on a bike. I learned a lesson in 2012, some of the most interesting people I met in 2012, I met during my local bike rides or on event rides or at the pro races. They were not pro riders (with the exception of the always fascinating Ted King) or race directors or team managers, they were passionate common cyclists who loved riding a bike. I also learned that most of what I need I already have, most of what I want is in my own back yard. Following my pattern of every other year to Europe, this is my year to stay on home soil. I have had fun penciling in some rides on my calendar and planning registration. I am thinking about traveling in Colorado, California, Utah, and Oregon this year, plus personally tackling the entire route of the USA Pro Challenge on a bicycle over several weekends. Why not? Where are you going to ride in 2013? The road does not always lead to a podium or to glory, but it does usually lead to satisfaction. The end of an exceptional ride ! Man that hurt, man that was great! !